If not, you should be. At Packsize, we are passionate about doing our part to create Smart Packaging for a Healthy Planet. We seek passion from those who want to make this world a better place to live and work. If you are looking to be part of something big, there’s an opportunity here for you. It’s not just about making boxes at Packsize, although how we make them is super cool. We use best practice principles of supply chain optimization, e-commerce retail operations, lean manufacturing and green packaging to create a healthier planet and happier workforce. And we have a great time doing it. Embracing the positive momentum that diverse thinking brings to companies like ours, we encourage outside-the-box thinkers (no pun intended) and doers to consider a career at Packsize. Are you customer-focused, adaptable, tolerant, self-reliant and have the willingness to learn? Then apply now to a position at Packsize! 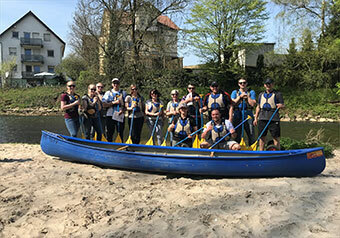 From monthly lunch-and-learns across a range of wellness topics to summer and holiday parties and award recognitions to regular walking groups and an on-site employee gym, Packsize encourages camaraderie and fun too. Ensuring employees are happy, healthy, and understand that what they do today at work will make a global difference tomorrow is what sets Packsize apart from the crowd. 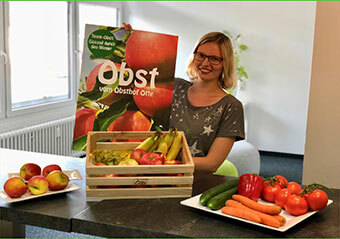 Working in an international environment and teams,various training & development opportunities, Company & personal bonuses performance based, free fruit, vegetables & beverages - some of the advantages of working with us! But wait—Packsize also offers a clean air Electric Vehicle (EV) Incentive. That’s right, employees who drive electric cars to work will see a boost in their paychecks. Packsize has flipped the old adage “work hard, play hard” on its head. 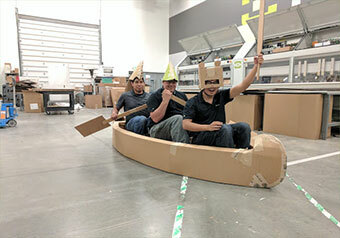 Working hard and packing harder to bring On Demand Packaging® systems, software, and services to the world is no easy task but no one does it better than we do. With principle values squarely focused on encouraging a holistic and healthy lifestyle, you are bound to quickly connect with an extreme (or not so extreme) early morning, lunch, or after-hours group of friends at Packsize.